Headlines making you feel anxious? Investors looking for the “best” investment will tell themselves that Apple’s time has passed. Apple is a ginormous corporation that just set company records for revenue, earnings (barely, and that’s the worry for some investors), iPhones sold, and iPads sold in a quarter. Think about that for a minute. Apple’s stock didn’t drop because they revealed some horrible news like a ship sank with the next 20 million iPhones on board. 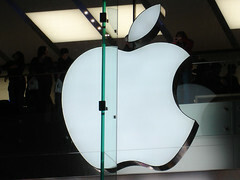 Instead, the price drop was attributed to Apple not meeting analysts’ forecasts. Does owning Apple stock make sense based on my plan? If I own Apple stock, do I have a plan that takes the emotion out of owning it? So the next time you see a headline that touts a guru’s prediction or hints that something great no longer is, do me a favor. Take a look around and see if the headline actually helps you answer a question that matters or just makes you feel more anxious. You are currently reading Headlines making you feel anxious? at Fahrenheit Chronicles.